popular Chinese-based smartphone manufacturers, Huawei and Tecno Mobile. 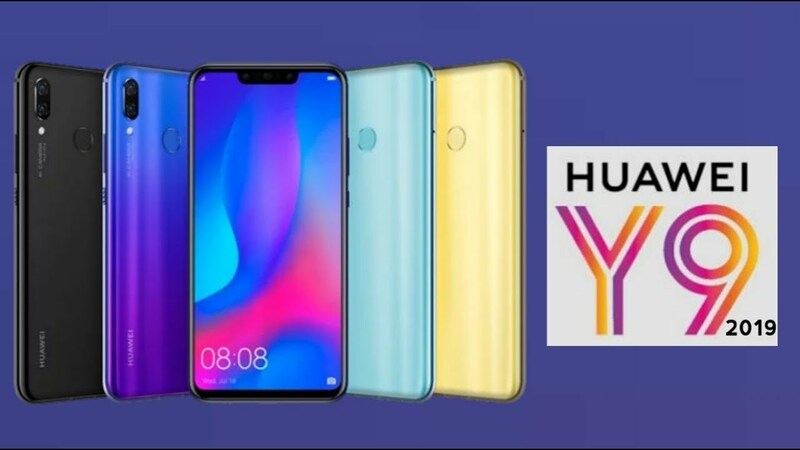 The Huawei Y9 (2019) was recently launched by Huawei as the successor to the Huawei Y9 (2018) it released earlier this year. 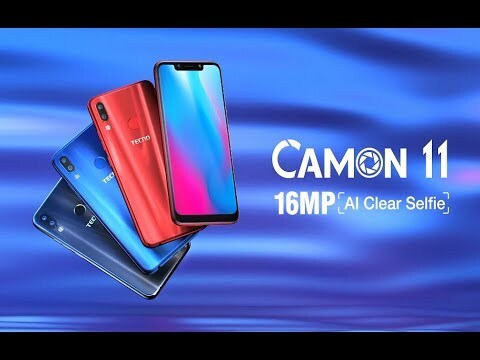 The Camon C11 Pro, on the other hand, is the bigger variant of the newly released flagship duo from its camera-centric Camon series; it was released alongside the Camon C11. Under the headers below, we will highlight the differences between both devices as well as the some of the similarities they share. Upon visual examination of both devices, the first thing to notice about both devices is their reflective polycarbonate body. The Huawei Y9 (2018), however, scores more aesthetic points as it is more beautifully designed than the Tecno Camon C11 Pro. The Huawei Y9 (2019) has a 3D curved glass on the front while the Camon C11 Pro glass covering is 2.5D curved. 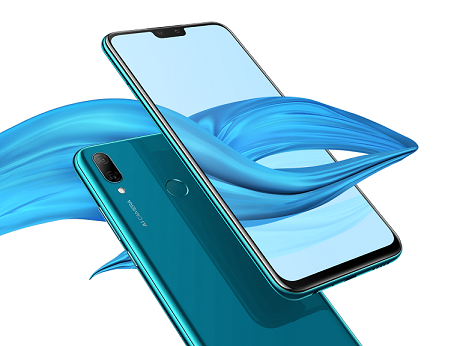 In addition, both devices sport rectangular notches at the top of the display but the Huawei Y9’s notch is smaller –despite housing two selfie cameras– than the Camon C11 Pro’s notch with just a single selfie camera, front-facing LED flash, and call speaker. Both devices have their dual camera set-up, LED flash and fingerprint sensor all in the same position on the rear. The paint job and available colours of the Huawei Y9 (2019) makes it more interesting. The device comes in three different colour options (Midnight Black, Sapphire Blue, and Aurora Purple) all of which have a reflective gradient pattern. The Tecno Camon C11 Pro, on the other hand, is available in only “Nebula Black” colour. Due to the high battery capacity of the Huawei Y9 (2019), it is slightly heavier (173 grams) and bulkier than the Tecno Camon C11 Pro (155 grams). However, the Huawei Y9 (2019) generally looks more visually appealing. Also, due to the 3D curved glass, it is more convenient to hold in the hands than the Camon C11 Pro. Both devices use LCD capacitive touchscreen but the Huawei Y9 (2019) has a bigger (6.5-inch) display than the Camon C11 Pro (6.2-inch) and their aspect ratios measure 19.5:9 and 19:9 respectively. Asides from having the bigger display, the Huawei Y9 (2019) produces better-looking images because it sports higher resolution (1,080 x 2,340 pixels) and has its pixels more closely packed together (396 ppi) than the Camon C11 Pro with a resolution of 720 x 1500 pixels and 268 ppi. To add, you might want to exercise extra care when handling the Camon C11 Pro as it doesn’t come with display protection of any sort. The Huawei Y9 (2019) trumps the Camon C11 Pro in this aspect as it sports a high-tensile scratch-resistant Nippon Electric Glass (NEG). The Camon C11 Pro is powered by a MediaTek MT6762 Helio P22 system-on-chip with eight Cortex-A53 cores that all run at a speed of 2.0GHz. Huawei used its proprietary HiSilicon Kirin 710 chipset on the Y9 (2019). The chipset is also an Octa-core processor with eight cores; four 2.2GHz Cortex-A73 and four 1.7GHz Cortex-A53 cores. Per storage, the Tecno Camon C11 Pro comes with 6GB of RAM and 64GB of storage built-in. There’s a dedicated micro SD card slot that supports storage expansion up to 128GB. The Huawei Y9 (2019) comes in two variants based on storage configurations. The base version of the device comes with a storage combo of 4GB RAM and 64GB ROM while the higher variant comes with 6GB of RAM and 128GB of built-in storage. Interestingly, both variants of the Huawei Y9 (2019) come with SD card support of up to 400GB. 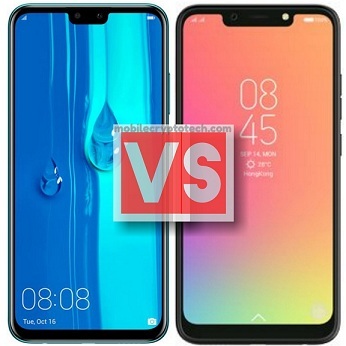 Albeit both devices run the same Android Oreo (v8.1) operating system and the same amount of RAM, the Huawei Y9 (2019) wins in this category as it boasts of a faster processor. 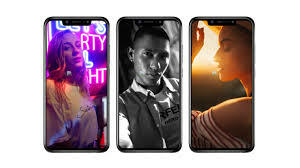 Starting with the Huawei Y9 (2019), it comes with a dual rear setup comprising of a primary 16MP PDAF sensor with a f/2.0 aperture and a secondary 2MP depth sensor with f/2.4 aperture. The Camon C11 Pro also comes with dual camera on the rear but it slightly betters the Huawei. The C11 Pro has a primary 16MP wide-angle lens with a wide f/1.8 aperture and a secondary 5MP camera. On the front, the Camon C11 Pro boasts of an AI-powered 24-megapixels lens with f/2.0 aperture size accompanied by a LED flash. Huawei’s midranger comes with dual (13MP + 2MP) selfie shooters on the front, right within the compact notch. The Huawei Y9 does not have a front-facing LED flash like the Camon. This category is a bit difficult to judge but Tecno wins it easily; this is, however, still subject to the quality of images the shooters produces in real-world, not on-paper specs. Both devices sport non-removable Lithium-Ion batteries but the Huawei Y9 (2019) has a capacity of 4,000mAh while the Camon C11 Pro carries just 3,750mAh. All things being equal, the Y9 will provide longer usage hours and standby duration. The prices of both devices could vary according to storage variants, the location of purchase as well as the store of purchase. However, generally, the Tecno Camon C11 Pro starts at about NGN 76,000 while the Huawei Y9 (2019), about NGN 80,000. The Camon C11 Pro and Y9 (2019) are both brilliant and interesting piece of tech from both Tecno and Huawei. Both devices are built for the midrange market but manage to sport high-end features and specifications that almost gets you confusing them to flagships. If you love your phone beautifully designed with a big display that produces brilliant images and colors, long-lasting battery as well as fluid multitasking, the Huawei Y9 (2019) is your best bet. The Tecno Camon C11 Pro also does all the aforementioned things, but not as good as the Y9. However, camera-wise (particularly for selfies), the Camon C11 Pro is a good one.